The FICG consortium (Engie Fabricom, Smulders and CG) was responsible for the design, supply and installation of the complete offshore substation for the German utility EnBW. 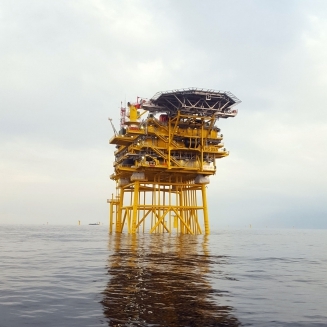 On Monday 18 June 2018, the substation set sail towards its destination, approximately 98km off the German coast and 90km north of Borkum island in the North Sea. With its 55 metres length and 30 metres height, its 4,500 tonnes, 3 transformers and 3 shunt reactors, Hohe See is the biggest substation ever built on the ENGIE Fabricom Hoboken yard. 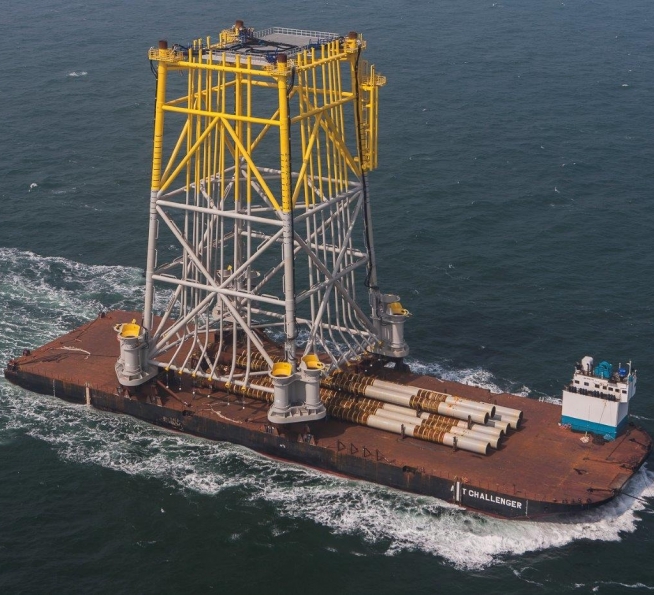 The substation was installed on the jacket foundation built by Smulders on their site in Vlissingen in the Netherlands which was transported to its final location in the German North Sea on 29 May. The EnBW Hohe See wind farm will comprise 71 wind turbines with a total capacity of 497 MW. It covers an area of about 40 square kilometers in the German exclusive economic zone of the North Sea, 90 kilometers north of Borkum and 100 kilometers north-west of Helgoland, with water depths of up to 39 meters. The wind farm will be connected to the German high voltage grid via the BorWin3 converter platform. The EnBW Hohe See wind farm is the biggest planned offshore wind project in Germany. It will produce enough electricity for nearly 560.000 households and reduce CO2 emissions by over 1.5 Mio tons per year. This project will be brought online before the end of 2019.